Islands in the Caribbean along with Florida and Texas get slammed by multiple catastrophic hurricanes. Wild fires spread across Western United States. Two earthquakes kill hundreds in Mexico and over 41 million people suffer from monsoon rains in South Asia. Even with clear indications that climate change is occurring right before our eyes, Scott Pruitt, chief of the Environmental Protection Agency, decides to sign a measure to repeal the Clean Power Plan. 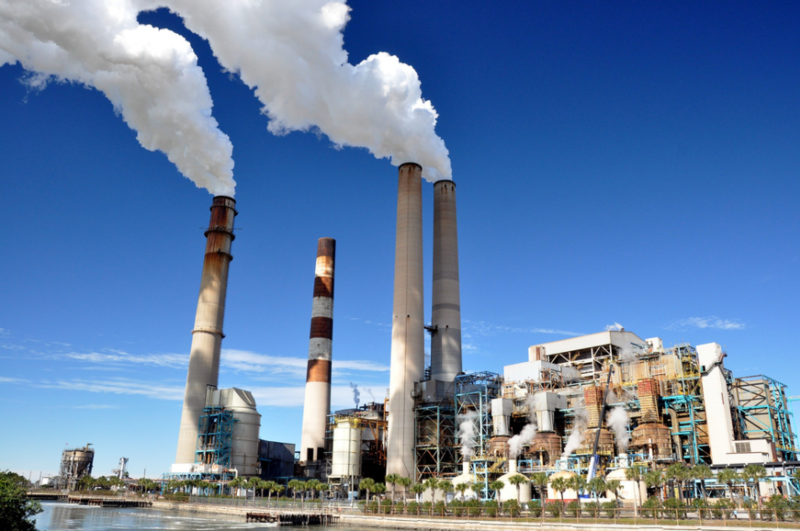 In an effort to combat global warming and climate change, the Obama administration enacted the Clean Power Plan in 2015, setting limits on carbon emissions from power plants across the country. According to the Environmental Defense Fund, the Clean Power Plan is considered “the most significant step the U.S ever took toward reducing the pollution that causes climate change” and that that step, is under attack. Climate change is making itself more evident and undeniable now more than ever, with this year’s hurricane season now being one of the top ten most aggressive seasons in history. According to The Weather Channel, there have been 13 named storms, eight hurricanes, and five hurricanes stronger than category 3 formed in the Atlantic. As weather conditions and natural disasters continue to worsen and increase over time, how can the Trump administration take such retrograde measures and pass policies that dismantle the little work that has been achieved in direction towards stopping climate change? The trump administration is not looking into the future, when these natural disasters will occur with more frequency and be more unbearable. These policy makers’ only goal is to go back and have policies go in accordance with a Republican stand-point, with complete disregard to how necessary and relevant harsher regulatory policies on carbon emissions are. Pruitt argues that the Clean Power Plan is inconsistent with the Clean Air Act, a federal law passed in 1970 that authorizes the EPA to establish National Air Quality Standards (NAAQS), and says that it must be repealed because it ordered power plants to take regulatory action “outside the fence line”. This means it ordered plants to take regulatory action outside the power plants. Pruitt said that before the Clean Power Plan was issued, the section under the Clean Air Act, section 111, required entities to take action “inside the fence line”, therefore the Clean Power Act departed from the original Clean Air Act authority. However, these regulatory policies help the air become less and less polluted by carbon emissions, and an excess of policies now could mean economic gain in the long run. A study from Rhodium Group, a company dedicated to research and analyzing disruptive global trends, found that if Obama’s policies were to stay in place, around 21 states would have had to make higher cuts in emissions, meaning that emissions in general would have fallen 32 percent than the one originally predicted. There is good news regarding electricity emissions in the United States, right now they are on track to being reduced by a certain percentage lower than the levels in 2005 by 2030. But as more retrograde actions like these continue to be taken under the Trump administration, this prediction seems more far away than originally thought. Scott Pruitt is being naïve in thinking that there is no more progress to be made. Clearly having more regulation on coal emissions is not on Pruitt’s list of priorities as EPA chief. To make sure that this move doesn’t encounter any challenges in court, groups in the coal power plant industry encourage Pruitt to replace the Clean Power Plan with new regulation, knowing that several states and environmental groups are already planning to challenge the repeal in federal courts according to a report by The New York Times. Attorneys general of New York and Massachusetts intend to sue the EPA once the repeal is finalized. The repeal package has now been sent to the Federal Register for publication and now undergoes a 60-day process in which the public can submit comments before it is finalized. The public can find this package on the Federal Register at GPO.gov. With more stringent and rigorous carbon emission regulation approaching eventually, this repeal seems like a step in the wrong direction. If anything, stronger action should be taken to be on the path of cleaner air and less pollution, in an effort to try and prevent and repeal climate change instead.